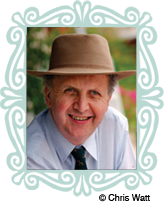 Alexander McCall Smith has written more than 100 books, including specialist academic titles, short story collections, and a number of immensely popular children's books. But he is best known for his internationally acclaimed No. 1 Ladies' Detective Agency series, which rapidly rose to the top of bestseller lists throughout the world. The Handsome Man's De Luxe Cafe (November 2014) is the fifteenth book in the series, which has now been translated into 40 languages and has sold over 20 million copies worldwide. A television series starring Jill Scott and produced by the Weinstein Company, with the first episode directed by Anthony Minghella, aired on HBO in 2009. A self-confessed serial novelist, McCall Smith is the author of several other series including one beginning with The Sunday Philosophy Club, about a female sleuth named Isabel Dalhousie, which appeared in 2004 and immediately leapt onto national bestseller lists, as did its sequels: Friends, Lovers, Chocolate; The Right Attitude to Rain; The Careful Use of Compliments; The Comforts of a Muddy Saturday; The Lost Art of Gratitude; The Charming Quirks of Others; and The Uncommon Appeal of Clouds. The tenth Dalhousie mystery, The Strange Habits of Happiness, will be published in Spring 2015. Another of McCall Smith's serial novels, 44 Scotland Street, was published in book form to great acclaim starting in 2005, followed by Espresso Tales, Love Over Scotland, The World According to Bertie; The Unbearable Lightness of Scones, The Importance of Being Seven and Bertie Plays the Blues. Sunshine on Scotland Street will be published in August 2014. Corduroy Mansions, a serial novel series depicting the lives of the inhabitants of a large Pimlico house, was published and podcasted in 100 daily web episodes by the UK's Daily Telegraph. It appeared in book form in July 2010, followed by The Dog Who Came in from the Cold and A Conspiracy of Friends. In addition, McCall Smith's delightful German professor series, Portuguese Irregular Verbs, The Finer Points of Sausage Dogs, At the Villa of Reduced Circumstances and The Unusual Uses of Olive Oil, were published in the US starting in January 2005. Alexander McCall Smith's stand-alone works include The Forever Girl, Trains and Lovers, and La's Orchestra Saves the World; as well as a collection of African folktales, The Girl Who Married a Lion. McCall Smith is also the author of Dream Angus: The Celtic God of Dreams, a contemporary reworking of a beloved Celtic myth, and Heavenly Date & Other Flirtations, a collection of short stories examining the mysteries of dating and courtship. He is also the author of many non-fiction titles, the latest of which is What W.H. Auden Can Do For You, and a number of books for children, including the Akimbo series, about a boy in Africa; the Harriet Bean books, the Max & Maddy series, and The Perfect Hamburger and Other Delicious Stories. His newest children's books are based on the adventures of the beloved Precious Ramotswe as a little girl: The Great Cake Mystery, The Mystery of Meerkat Hill, and The Mystery of the Missing Lion (coming in October 2014). McCall Smith was born in Rhodesia (what is now Zimbabwe) and was educated there and in Scotland. He became a law professor in Scotland, and it was in this role that he first returned to Africa to work in Botswana, where he helped to set up a new law school at the University of Botswana. For many years he was Professor of Medical Law at the University of Edinburgh, and has been a visiting professor at a number of other universities elsewhere, including ones in Italy and the United States. He is now a Professor Emeritus at the University of Edinburgh. He holds honorary doctorates from 12 universities. In 2007 he was made a CBE for his services to literature in the Queen's New Year Honors List. He is a Fellow of the Royal Society of Edinburgh, Fellow of The Royal College of Physicians of Edinburgh; Fellow of The Academy of Medical Sciences; and Senior Fellow of Massey College. In addition to his university work, McCall Smith was for four years the vice-chairman of the Human Genetics Commission of the UK, the chairman of the British Medical Journal Ethics Committee, and a member of the International Bioethics Commission of UNESCO. He is the recipient of numerous awards, including The Crime Writers' Association Dagger in the Library Award; the SAGA Award for Wit, the United Kingdom's Author of The Year Award in 2004, Scotland on Sunday/Glenfiddich Spirit of Scotland Award, the Association of Online Publishers Digital Publishing Award, 2009 for a Cross Media Project and Sweden's Martin Beck award. The No. 1 Ladies' Detective Agency gained two Judges' Special Recommendations from the Booker Prize for Fiction judging panel; the New Media Age Award; the Giuseppe Acerbi Book Award; The Great Scot Award; the Bank of Scotland Herald Angel Award; The Burke Medal for Outstanding Contribution to Public Discourse through the Arts, Trinity College Dublin; and the Duke University Leaf Award. In 2010 McCall Smith was awarded the Presidential Order of Merit by the President of Botswana. Alexander McCall Smith currently lives in Edinburgh with his wife Elizabeth (an Edinburgh doctor). He has two daughters Lucy and Emily. His hobbies include playing wind instruments, and he is the co-founder of an amateur orchestra called "The Really Terrible Orchestra" in which he plays the bassoon and his wife plays the horn. He has also written several librettos, including one for The Okavango Macbeth, set among a troop of baboons in the Okavango Delta, which has been staged in Africa and in the UK. McCall Smith, together with historian Alistair Moffat, and with the artistic talents of Andrew Crummy, (and more than 1000 stitchers) formed a team to produce the Great Tapestry of Scotland. It's the world's longest tapestry telling the history of Scotland through one of the biggest community arts projects ever to take place in Scotland. The tapestry took more than a year to produce, and was officially unveiled in September 2013.